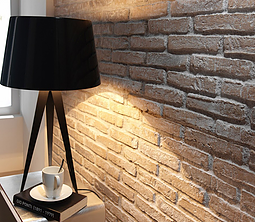 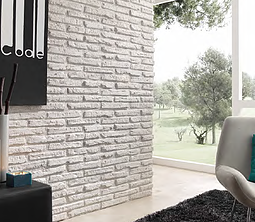 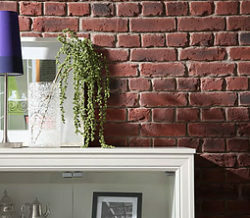 Our Brick effect wall panels designed to such a high standard of realism that they look just like a real brick wall. 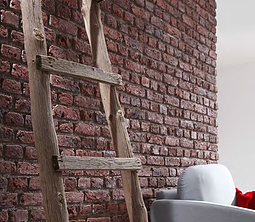 This range offers a wide range of styles, colours and sizes from modern to antique or distressed, from rustic to elegant English brick. 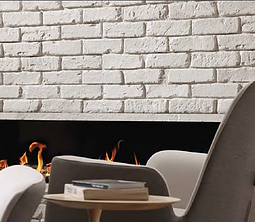 We cannot stress enough their realistic appearance which is achieved by a meticulous attention to detail. 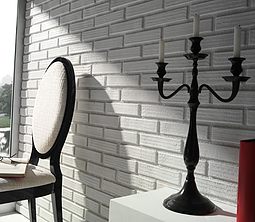 Brick wall cladding used in any type of construction, whether redecoration of existing premises or in a new building. 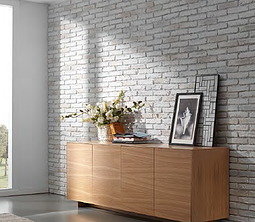 The brick collection has been designed for clean and rapid installation on any type of surface and will offer a high degree of satisfaction to the customer. 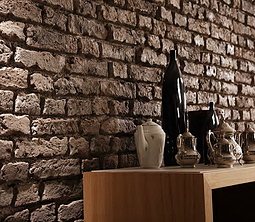 Decorative Brick effect wall coverings are considered as a key element in adding value to any space you wish to decorate, providing warmth due to their insulating properties.